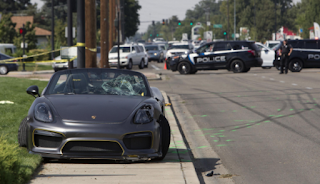 Back in September, eleven people were taken to the hospital after a man driving a Porsche drove into a crowd at the Cars and Coffee event. The victims had serious, but not critical injuries, and the driver was not hurt. Witnesses say that the driver was leaving the event, but seemed like he was trying to show off for the crowd. Then the driver lost control while he was going too fast. The driver, Roy Drennon, was charged with one misdemeanor of reckless driving. He could face up to six months in jail and a fine of up to $1,000. It took several months to bring charges against Drennon because they had to wait on toxicology results and crash reconstruction. Court records show that Drennon has at least eight driving related citations in Alaska, and seven of them involved speeding. Right now, only one victim is pursuing civil charges against Drennon. Give it time. 11 will pursue civil charges against Mr. Drennon. Paige Gasper, a 21 year old California college student, was among those who were injured in the Las Vegas mass shooting. She is filing the first lawsuit againt MGM Resorts which owns the hotel and casino where the gunman fatally shot 58 people and injured over 500 others at a music festival on October 1st. 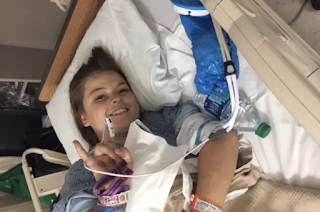 Gasper was struck by a bullet that entered her right underarm and traveled through her breast tissue, shattered her ribs, and lacerated her liver before exiting her body. While being helped by her friends to escape, she was trampled by the crowd fleeing the concert. She was eventually rescued when someone helped her take cover behind a dumpster and then took her to the hospital in his truck.